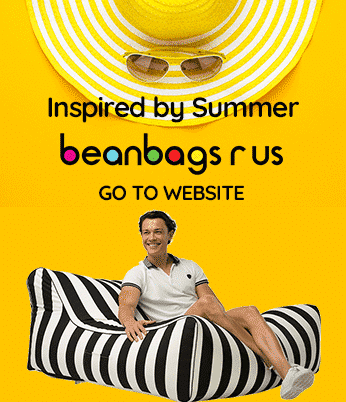 Bean Bags R Us NewsOutdoor Bean BagsWhat is the Best Bean Bag for Marine Use? What is the Best Bean Bag for Marine Use? If you own a party boat or luxury motor yacht or are planning to rent one for a special event, you’ll need to consider seating arrangements. Standard loungers and chairs are always available, but the idea behind a luxurious excursion is the pleasure. You and your fellow passengers should enjoy the ultimate in comfort instead of tolerating seating that hurts your back or does not let you fully relax. For your next adventure on the open seas, impress your guests with our quality marine bean bags. If you have invested in a boat or yacht, you will want to be sure you have plenty of comfortable, practical seating options for extra guests. Bean bag chairs and loungers can fit virtually anywhere on your boat. They are lightweight, take up little space and are also easy to store when not in use. You and your guests can use them for sunbathing, fishing, socialising, or just enjoying the sights and sound of open water. Standard outdoor furniture is awkward, and users often find themselves shifting positions to be comfortable. Our marine bean bags have no hard edges or cold metal parts; they’re designed to provide comfort that rivals your living room couch or recliner. Unfortunately, a boat’s attractive built-in seating is usually limited. Do not make the mistake of placing cheap, mass-produced seating on your vessel. Cheap furniture is ugly, and it will ruin the upscale ambience of your party boat. Even more expensive options have definite disadvantages. Resin products are unstable and difficult to clean — metal furniture rusts. Wood furniture is bulky and cumbersome, and it requires frequent maintenance. Our bean bag products are nearly maintenance-free; they withstand the elements and keep their good looks for life. Our products are available in a wide variety of lively colours to match your vessel’s decor. Our marine bean bags are designed to endure the extreme weather of the open seas. Most soft, comfortable seats are ruined when they encounter water. If our marine bean bags get wet, you drain them and let them dry. They are also easy to clean; wipe them with a damp cloth and soapy water. Unfortunately, Mother Nature does not always have your comfort and convenience in mind. Rough waters and the wind can topple chairs or send them sliding across the deck. Not only are these conditions inconvenient for people who are seated, but they are also tough on tired muscles and bad backs. They can even present a safety hazard or cause injuries. Higher boat speeds can also affect comfort and safety. When sitting in a bean bag chair, you are less likely to slip; the extra cushioning absorbs the impact of turbulence, which means you are less likely to experience back and neck pain later. For the best quality bean bags on the market, check out our outdoor product lineup. Our range of seating options includes loungers, chairs, large cushions, and even pool floats. Choose from many styles and colours to create the perfect environment for your next party on the water. You can even have select products screen-printed to display your company logo or personal designs. You deserve the ultimate in quality and performance. Once you’ve experienced the bean bag difference, you’ll say goodbye to traditional loungers and chairs forever.